My video interview with my husband Jim. 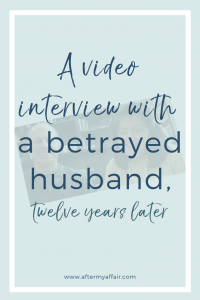 His Perspective and advice, as a betrayed husband. to be vulnerable enough to share his side of our story. helped, and if you can relate to anything we said, whether you were the unfaithful or betrayed.